Due to low snow pack in the NW for the 2014-2015 season our plan was keep it simple and to do a park shoot-out. So when we asked for only park snowboards, Rossignol came through. 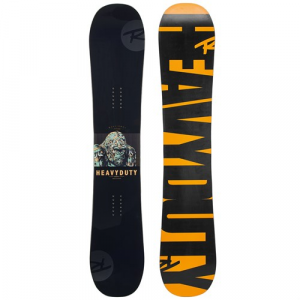 They sent multiple sizes of every park and all-mtn/freestyle snowboard they make. The 2016 Rossignol Jibsaw snowboard is a fun all-mtn/freestyle ride that rips in almost any terrain. It handled our park laps, but it’s not necessarily what we would suggest for a park rat. It has ok pop and is a good jibber, but where it truly shines is when an advanced rider wants to play all-mtn. It has a perfect mix of camber and early rise camber in the Amptek Freestyle (60% Camber, 40% Rocker). For the full lowdown watch the videos. A true-twin, core freestyle deck, the Rossignol JIBSAW MAGTEK delivers full-throttle power and playfulness for ripping park or all-mountain. Flatware tip-and-tail profiles meet MagTek, blending nose-pressing playfulness and set-your-spin edge grip with surprising floatation for a super-versatile, do-it-all freestyle board.